A Red Bus passes a group of modern buses used by Glacier National Park to move hikers and vistors throughout the park, as well as reduce traffic on the Going-to-the-Sun Road. 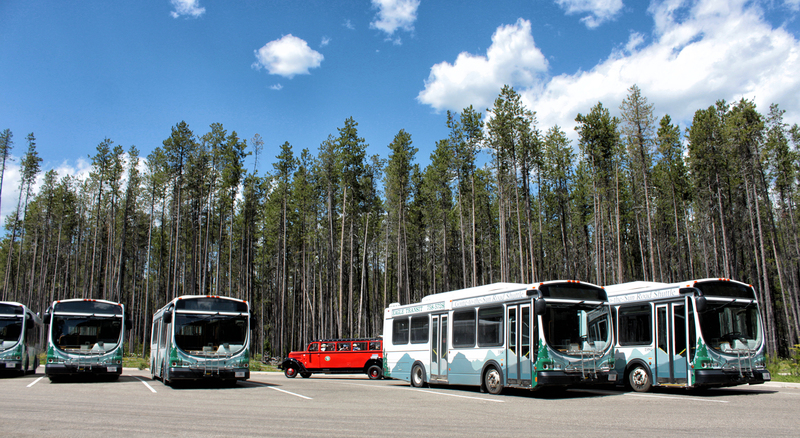 During the off-season, the buses are used by Eagle Transit in the Flathead Valley. Justin Franz | Flathead Beacon.